Shockingly, children in the UK are said to be spending less time outside than prison inmates, and there are concerns about the impact this could have on child development. Studies have shown that over exposure to screens can have a seriously negative effect on developing young minds. While moderate use is fine, most professionals suggest this time is strictly monitored and balanced with outdoor and messy play. 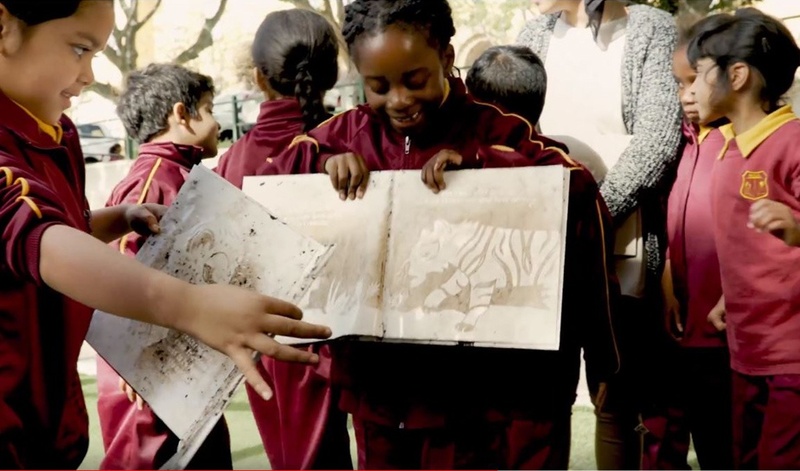 In a bid to get children outside and away from their screens, Unilever’s global detergent brand, OMO – also known as Persil – launched an education-focused experiential activation in South Africa as part of its wider ‘Dirt is Good’ campaign. The brand developed the ‘Book of Dirt,’ an interactive children’s storybook which featured ink that could only be activated by dirt. To read the story, children had to rub earth into the pages which would reveal the words and illustrations on the page. This meant the children had no choice but to go outside and get their hands dirty to read. 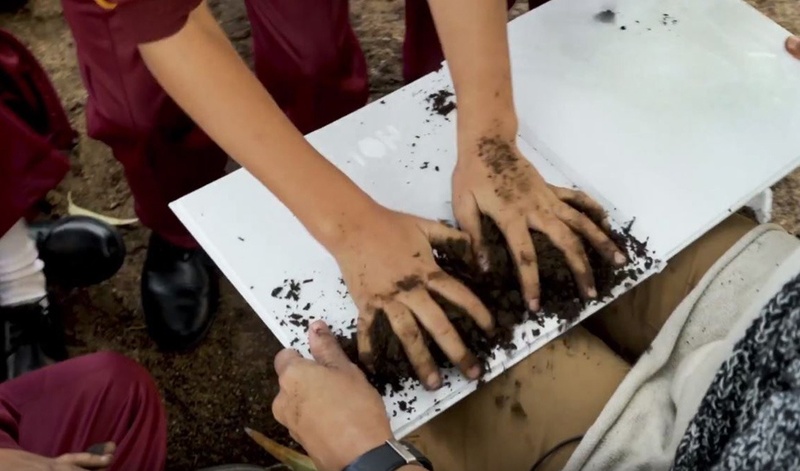 Captured on camera, the children are shown to have had a lot of fun with this new way of learning; grinning with delight as they grabbed handfuls of soil and enthusiastically rubbed it into the plain white pages of the book. This is in stark contrast to the children at the beginning of the film who are quietly using various pieces of technology in isolation. The book featured The Tale of Spots and Stripes which was written by OMO and designed by local artist Karabo Poppy. Not only does the book encourage outdoor play, but it holds an important message: don’t judge another by the way they look. The multi-sensory project is being amplified with an attempt to get the book into the national curriculum in South Africa, increasing the reach and longevity of the campaign. The moral of the story and reasoning behind the campaign helps to build brand love and makes this activation a powerful addition to OMO’s long running ‘Dirt is Good’ campaign. The brand is an advocate for outdoor play which it says is how kids learn, express their creativity and even bolster their immune systems. Through the Book of Dirt, OMO provides not only an enriching experience for young children but a solution to the inevitably dirty clothes they return home in. We see a similar example of good will combined with brand-promotion in Hyundai’s chatty bus, as well as Britannia Good Day using children’s smiles as a marketing tool in a campaign involving their favourite Bollywood stars.